As expected, Sony Corp. has replace Sir. Howard Stringer as president and chief executive officer with Executive Deputy President Kazuo Hirai, who was named head of the company’s consolidated consumer products division last March. Stringer will remain Sony’s chairman until June, when he will become chairman of the company’s board of directors. Hirai will officially take over as CEO April 1. The top-level changing of the guard precedes Sony’s quarterly earnings report, due Thursday, which is expected to show that the company is continuing to lose money, something it has done for the past four years. By promoting Hirai, Sony hopes to better compete against the likes of Apple, and Samsung, which have dominated the consumer electronics market in recent years. Hirai made his name as head of the PlayStation division, which had a tumultuous year due to the massive security breach of its PlayStation Network. Since last year, Hirai has overseen Sony’s consumer electronics division, which includes gaming products, laptops, televisions, and tablets. 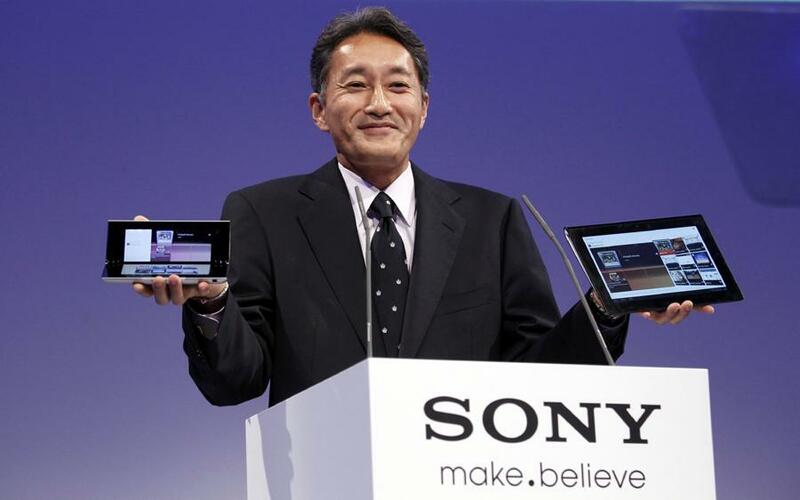 In these markets, Sony has also struggled to gain a foothold over its competitors. Despite this, Hirai is confident in Sony’s ability to bounce back.